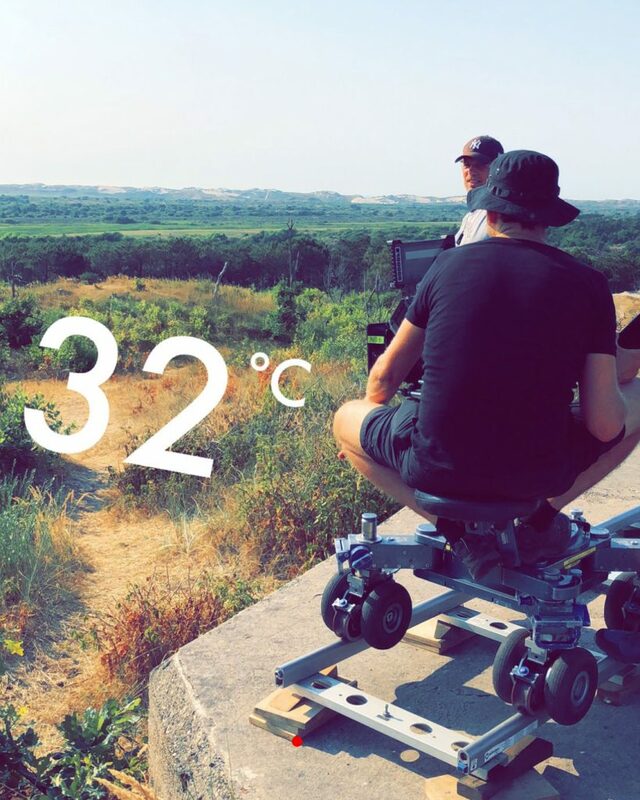 Working for film productions from two different countries can be an exciting experience for everyone involved. For Christiaan van der Knoop this was the case when he worked as DIT on the award-winning Dutch / German co-production “My Extraordinary Summer with Tess”. 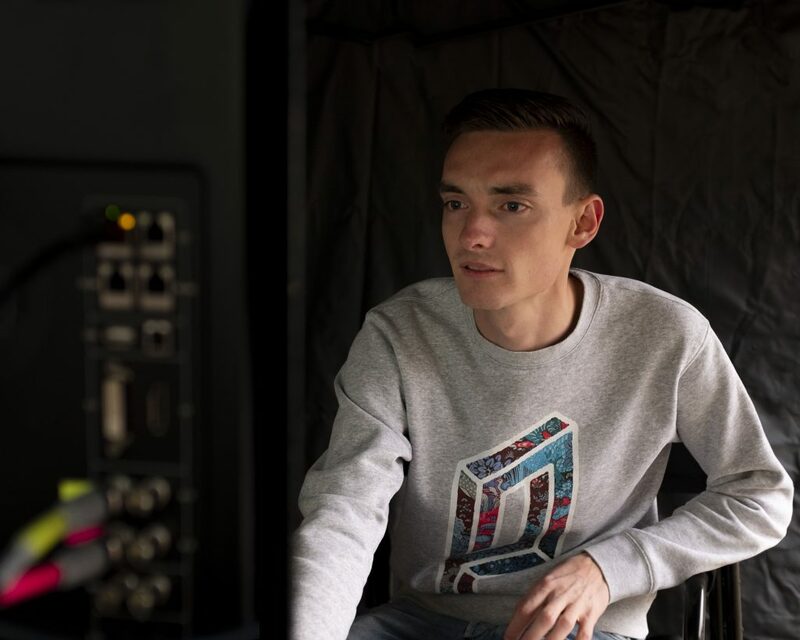 Christiaan was responsible for data management and dailies creation, and therefore handled everything from offload to audio sync, transcoding, and the final upload of dailies to a web platform. In the following interview he shares details on his workflow, and explains the challenges of working on a remote island with nearly no internet connection. Thank you for doing this interview with us. To start off, can you please tell us a bit about yourself and your career? Hi! 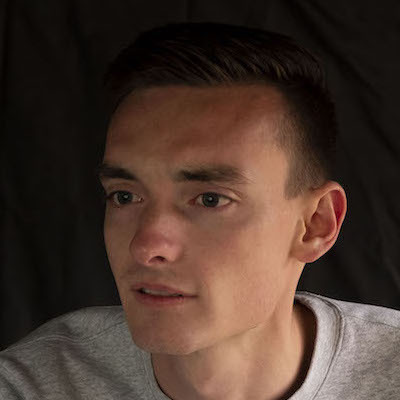 I’m Christiaan van der Knoop, an Amsterdam based DIT. I’m 24 years old currently, so still pretty young for a DIT. After working in the camera department for about three years, I started doing more camera tech jobs, and I really wanted to lift the DIT occupation off the ground in the Netherlands. That’s starting to work its way out right now. You recently used Silverstack Lab on the Dutch / German co-production “My Extraordinary Summer with Tess”. Can you tell us a bit about the project? How did the team come together, and what was your role / task for the project? “My Extraordinary Summer with Tess” is a Dutch movie shot on an island named Terschelling. I joined the team when the DP and 1st AC decided to hire a dedicated DIT for this job, instead of “just” a media manager. Here in the Netherlands hiring a media manager instead of a dedicated DIT is still very common. I think it’s because people don’t quite understand the need of having a DIT on set yet. 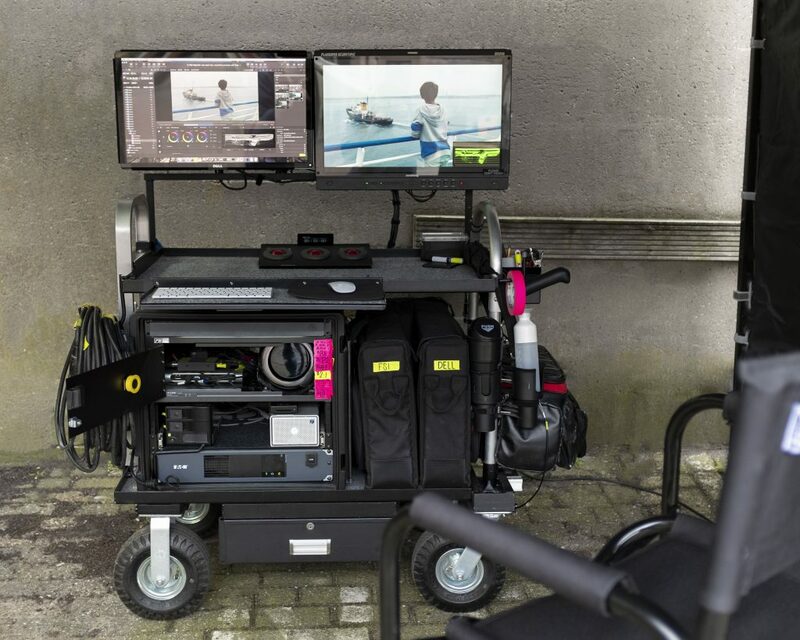 Rental houses also don’t have real DIT equipment, like fully built carts, LUT boxes, and transcoding sets yet. So it’s tough for ‘new’ people to do DIT related jobs as they don’t have access to the right equipment. My role for this movie involved providing camera technical knowledge, data management, and creating dailies / editorial files on set. What cameras and formats were used for filming? 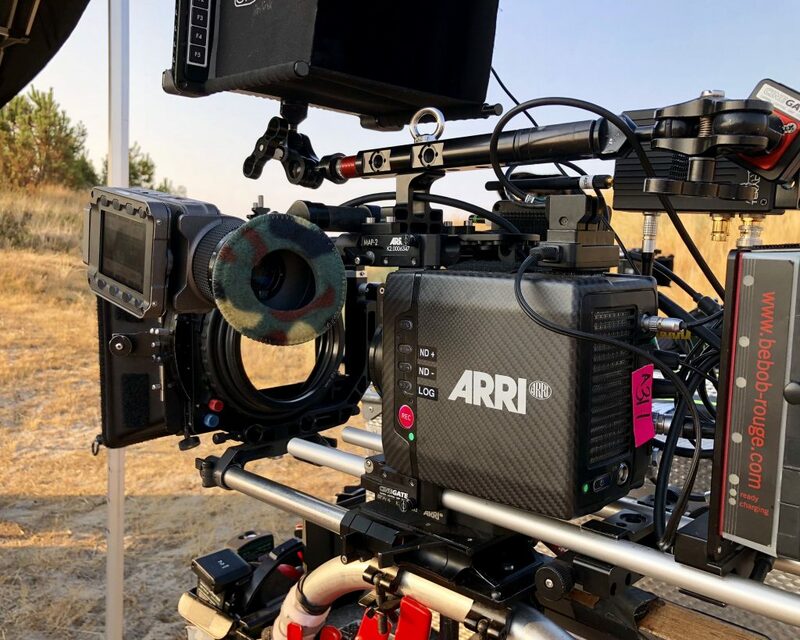 We were shooting ProRes 4444 XQ 3.2K on the Alexa Mini. Usually there was just one camera on set, but we had a second body rigged on a M?vi for a couple of days. It helped the camera department save a lot of time to not have to put the A body in the M?vi every time. Most of the camera equipment came from a camera rental in Germany so we had to deal with slightly different standards than we were used to. For example, in the Netherlands we aren’t used to working with Teradek Bolt 2000 kits, which was the case on this production. What was one typical shooting day like? Most of the time I had to make sure that I was set up as the camera department was set up with the camera as well. I checked the camera settings every morning. During the day I loaded the camera and helped them and video assist to get their pictures up. While they were setting up the first scene of the day on set I started syncing the sound and video from the day before to create dailies and editorial files, using Silverstack Lab. After that, I could upload the dailies directly to our Copra server. On this production you were responsible for data management and transcoding, and for part of your workflow you used Silverstack Lab. How did your on-set workflow look like in detail? First I offloaded the camera cards to two production backups and my RAID using a separate offload software. I then used Silverstack Lab for organizing all files in the library, checking exposure, LUTs, syncing sound, grading, creating stills, and clip- and shooting day reports. Lastly of course I also created dailies and editorial files. I had some bus powered G-Drives with dailies to give to the DP and director at the end of the day so they would be able to see their dailies without a network connection. What was your general experience with Silverstack Lab like? Were there any features that you used particularly often or found especially useful? Definitely! I just love the possibility to apply a corrected grade before transcoding the footage. We didn’t do live grading on this production per se, but there have been moments when I wanted to apply a simple grade to a shot. Either for the dailies/editorial or just for a still. Syncing sound with video based on timecode is so easy, it didn’t take a long time for me to sync video and sound from a whole shooting day. I also loved how easy it was to check the metadata of for example a shot from a couple of days earlier. Actually there have been moments when it was way easier for me to check the color temperature or fps of a specific shot than it was for the scripty. Overall it worked great. How was the decision to do the dailies on set made? Were there specific reasons for it? 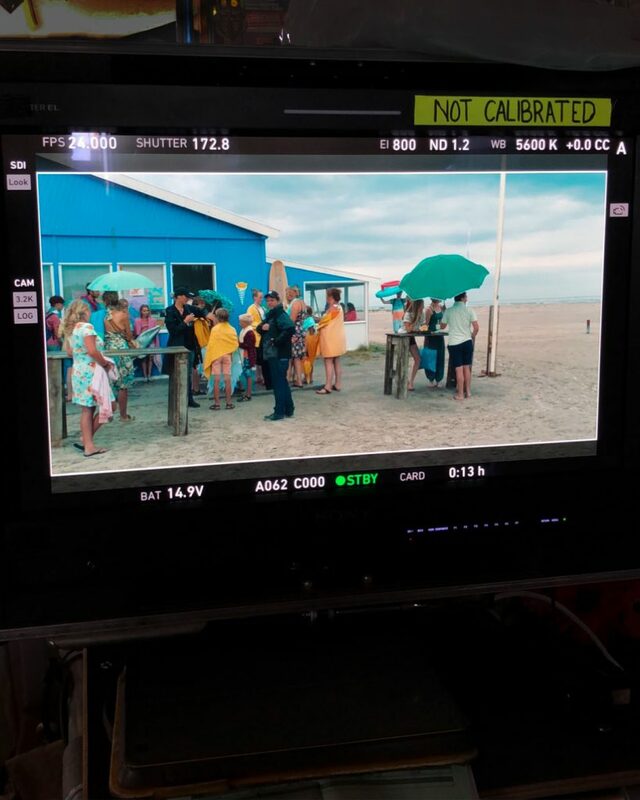 When production decided to shoot the whole movie on Terschelling, where you can only get by ferry, the only way to get the editorial files to the editor as fast as possible was to create them right on set, and upload them to the cloud. It’s a no-go to have a runner going back and forth to Amsterdam (±2.5 hrs one-way) just for our digital files. 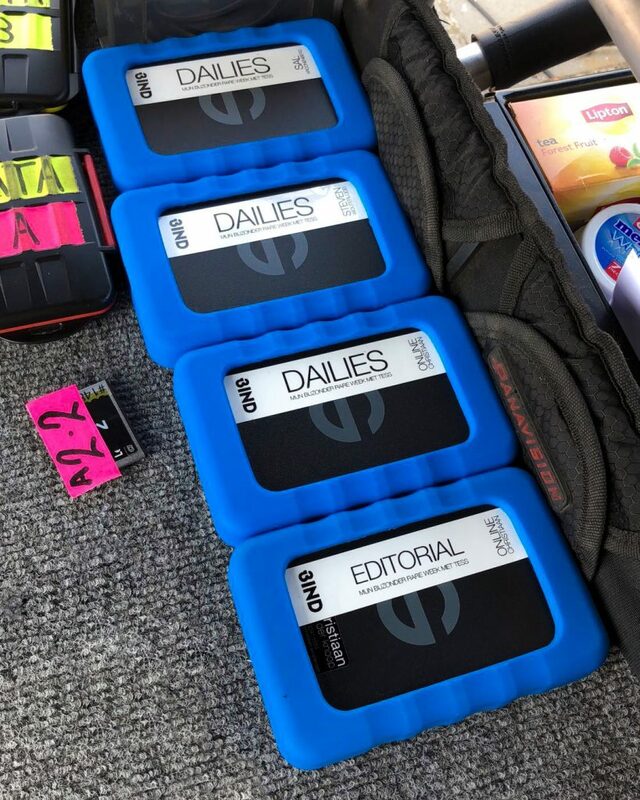 So we decided to create the dailies on set, and used the Copra dailies system to upload our dailies as well as our editorial files using a portable 4G modem. It’s a small island with, what they told me, only three transmission masts. Combine that with the fact that we were shooting in summer, when all the tourists were constantly using their cellphones, and you can see why the network became really unreliable during the day. 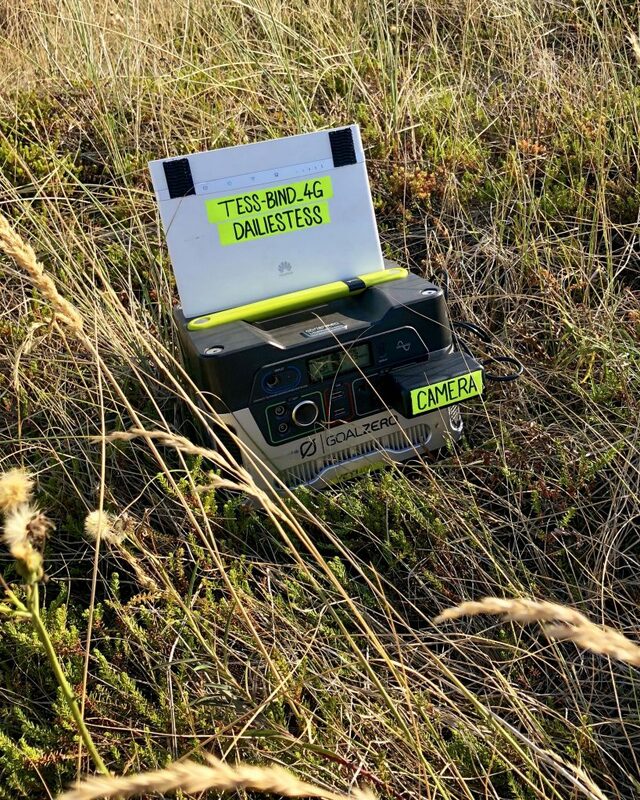 Sometimes I had to put the 4G modem with a battery pack in the field to get a good connection. Upload speed during the day was between 2-5 Mbps while it rose up to 60 Mbps after 11 PM. We often hear that the DIT occupation in the Netherlands is just starting to become popular now. As one of the most professional DITs in the Netherlands currently, what does that mean for your daily work? “Most professional” sounds a bit overrated for me, but yes, I think I am the only one in the Netherlands who does this job like I do. It’s hard to convince producers to create the dailies/editorial proxies on set, but they are beginning to understand it better and better. I also want to focus on doing some more live grading on set. I’m currently on my second feature where I’m doing live grading, so that’s a pretty good progress already in the last couple months, but it will take some more time to introduce that as more of a standard. Generally I notice that there are more and more people over here who take live grading more seriously and appreciate it. And that’s good for me as well! Big ‘Thank You’ to Christiaan for letting us be part of this exciting project! Sign Up for our Newsletter for more articles, news and a look behind the scenes! Christina is a Marketing and Sales Manager at Pomfort, who handles the communication of our products. She is passionate about creating meaningful content that provides our readers with new and interesting insights. Christiaan is an Amsterdam based DIT, who mainly works on TV series and feature films. His most recent project was the Dutch/German production "An Extraordinary Summer with Tess", which received an award at the famous Berlinale.